If you use Hotmail, Gmail or Yahoo! Mail and you are not receiving iOrbix email notifications, we recommend you to follow these steps to make sure you never miss an email from iOrbix and, also, you help iOrbix in getting a better reputation. You can finish these simple steps in 1-2 minutes. • Click "Safe and blocked senders". • Add "notifications@iorbix.com" to the list. • In the name, put "iOrbix". • In the email, put "notifications@iorbix.com". • Click in any white part of the page, to make sure the changes are saved automatically. If you see that iOrbix emails are not reaching the Inbox folder, but instead they are going to Spam or Junk, then please follow these steps. • Select All of your emails from iOrbix [i](or as many as you can)[/i]. • Press [b]"Not junk"[/b] button. This decreases the reputation of the sender, and will make the future emails to reach the Junk/Spam folder!! 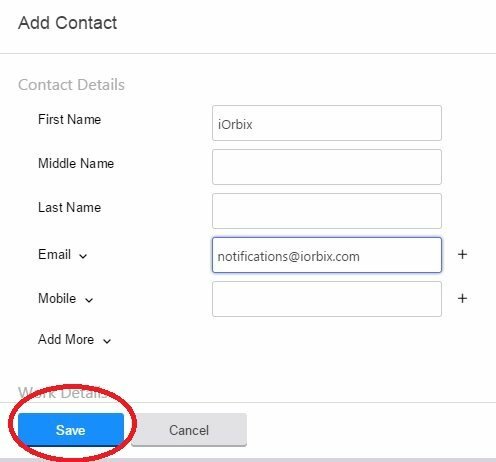 Please ALWAYS use the "Delete" button, if you want to delete iOrbix emails. Or, simply read them and never delete them, that's what I do :) I move them into an "iOrbix" folder I created. 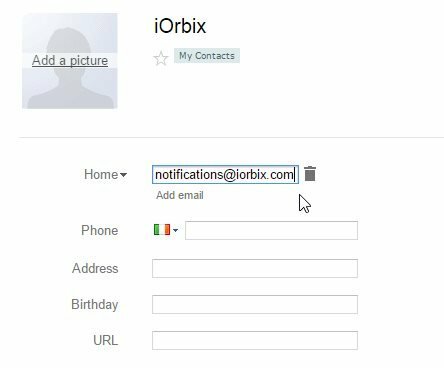 If you have emails activated, but you are still not receiving emails, please send an email to support@iorbix.com or a private message to me, and we'll investigate the case for you. We will not send emails to your email address until you confirm that it is yours and valid. To make sure your email is activated, then please go to your homepage. If you see some alert requesting you to Activate your Account, then you have to follow those instructions. If you don't see anything, then your account is activated. This will prevent our email notifications from wrongly going to your Spam Folder. It would also help your friends to receive your iOrbix Invites and other Notifications. Thank you for all your help, and thanks for using iOrbix! Hello. I changed your gender now. Please understand I won't be able to change it anymore. I need the mail urgently, if you could help me I would be very grateful.